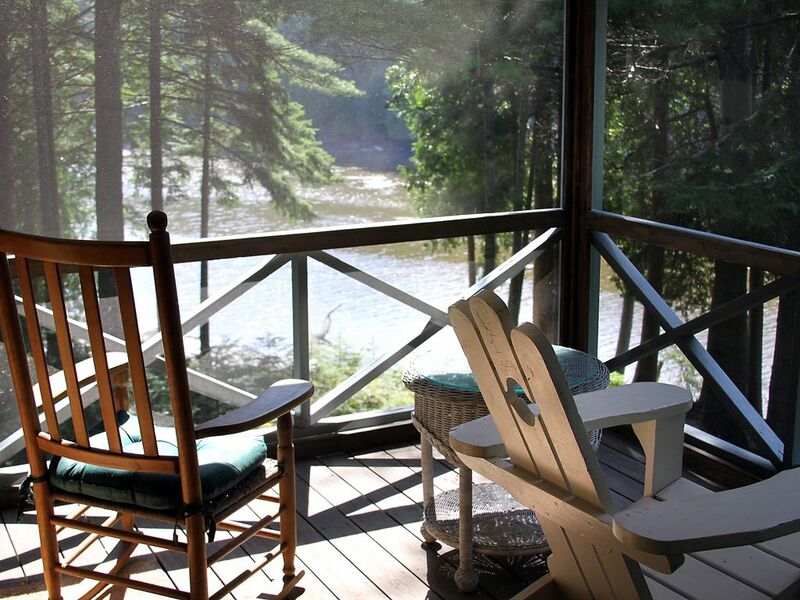 Lovingly maintained seasonal Maine coast home, on the water. Approximately 2 and 1/2 hours from Boston. The house is in a wooded setting overlooking a peaceful ocean tidal cove. Woods, coves and inlets shape this area of the Maine coast. Enjoy kayaking (you provide kayak), fishing and swimming. Visit one of the many land trust properties in the area for hiking and bird watching. Thomas Point Beach is 10 minutes away. Popham Beach State Park, Maine's most spectacular sandy beach, is a 45 minute drive. Brochures with information on attractions and restaurants are available at the house. The house is only available for weekly rental for the months of June, July and August (see calendar). If you would like us to supply sheets and towels, $50. Please Note: If you would like to rent this property, please click "Ask owner a question", and we will respond within 24 hours to any questions you have. Please do not click "Request to Book" until you have contacted us directly so that I can answer your questions and send you the rental forms to review. Linens and towels provided for an additional fee of $50. 3 bedrooms, sleeps 5 comfortably: 1 queen size bed; 1 double bed; one bunk bed (i.e., 2 twin beds). Blankets and pillows are provided. Towels and linens can be provided for a small fee. All the bedrooms are on one level. Fully equipped kitchen: Dishes; glasses; silverware; cooking utensils; fridge; microwave; electric oven and cooktop; microwave oven; toaster oven; coffee maker; blender. The Living room and dining room adjoin the kitchen in an open floor plan. Cathedral ceiling. 1 bathroom with shower. Apartment size washer and dryer. Wifi only. No cable TV Flat screen TV, for use with DVD and VHS player only. We have a large selection of books and videos (over 100 DVDs and VHS tapes). 2 bicycles are available. Picnic table and charcoal grill. Telephone (free local calls). We stayed in this home for three weeks and couldn't have been happier. The owners were responsive, clear and helpful, the house itself was very clean and beautifully furnished, and the location was perfect. When the tide was high, we spent our time sitting out on the dock or swimming with our dogs. I was working in Brunswick and the commute was fairly easy. There are tons of walking/hiking trails nearby, there's great food in the area, and it was nice to be near both Brunswick and Bath. It was everything we were looking for and we can't wait to return! We had a week at this location and couldn't have asked for more, had everything we needed. Spend most of our time on the screened in porch until it was to dark out to see anything of read our books. Morning coffee was so relaxing out on the porch as well. The cottage was very clean and well furnished. We also liked the area and kayaking in this area. The listing description was accurate, and the property was well maintained. We would recommend and will recommend this location to our friends if they are headed to Maine. We hit the Salt Cod Cafe, the Sea Dog in Brunswick, Hawks Lobster at Cundy's Harbor, Morses Cribstone Grill, on Bailey Island. Went to the "Giant Steps" several time just to sit and watch the ocean, beautiful location. We will return next year if we can. Thanks Harry and Mary for a great week. Numerous villages and historic towns dot the area. Picturesque Cundy's Harbor is at the tip of the peninsula, with 2 seafood restaurants and views of Harpswell Sound. The town of Brunswick (a 15 minute drive) offers a variety of restaurants and shops. Many fine colonial, federal and Victorian homes grace the downtown area. Other attractions include an extensive antiques and flea market, and the attractive Bowdoin College campus. The college has a fine art museum and the Maine State Theater. The historic port city of Bath is a short distance north of Brunswick. Georgetown, Wiscasset, Damariscotta and Freeport all make great daytrips. Add $100 per pet to the refundable Reservation/Security Deposit. CANCELLATIONS: Cancellations made within thirty (30) days prior to the arrival date will incur a fee of one half of the rental fee and loss of the security/reservation deposit. Cancellations made from 30 to 60 days before the arrival date will receive a refund of 50% of all rental fees paid up to the time of cancellation, and loss of the security/reservation deposit. Cancellations made 60 days or more prior to the arrival day will receive a 100% refund If the scheduled rental week is subsequently re-rented to another party, all fees and security/reservation deposits will be refunded. Minimum age of primary renter, 25 years. No smoking in the house or on porch. Check-in time is 2:00 PM or later. Checkout time is up to 10:00 AM. Rental periods run from Saturday to Saturday.